This water sample was collected from some stagnant pool water and placed under the U2 biological microscope for examination. 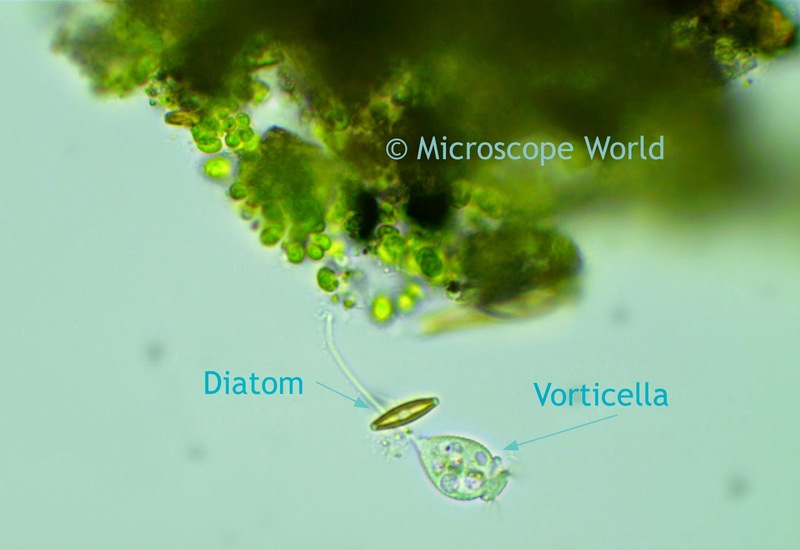 Notice the diatom and the vorticella on the edge of the algae. Water from a stagnant pool captured at 400x magnification under the microscope.